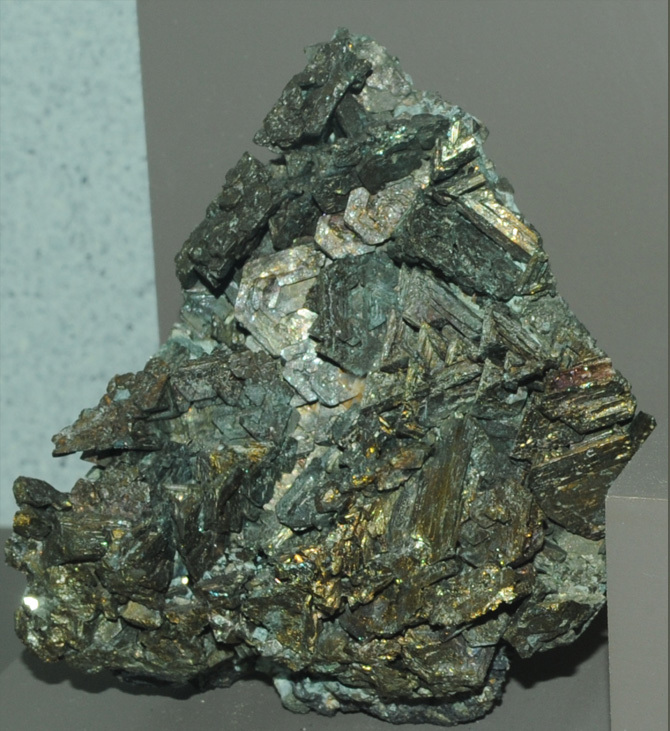 These samples of chalcopyrite are displayed in the Smithsonian Museum of Natural History. 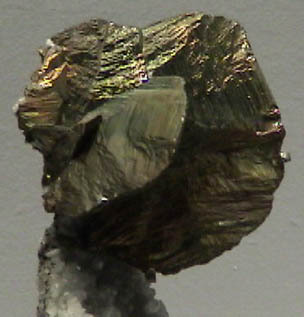 Chalcopyrite is a sulfide mineral of copper and iron with the composition CuFeS2. 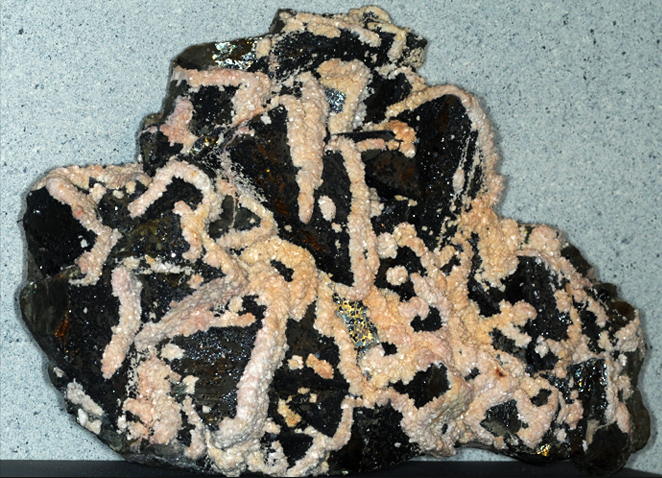 This sample is about 10x7 cm and is from Moonta mine, South Australia. 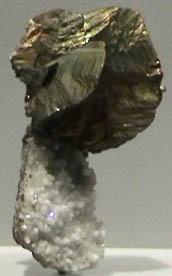 It is formed with quartz. 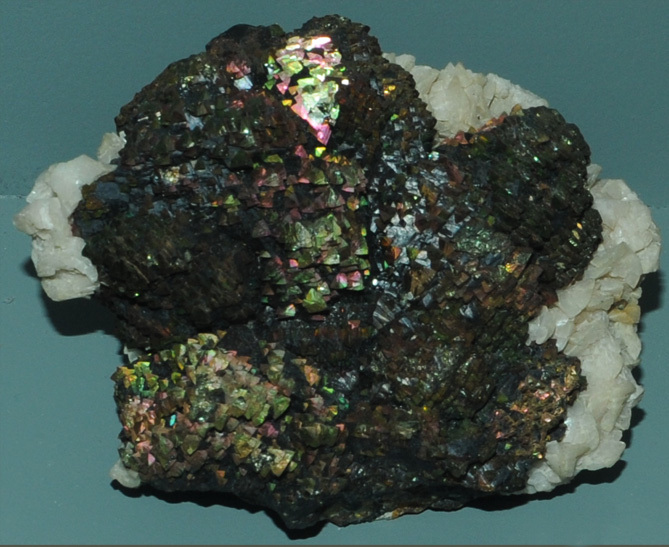 This sample of chalcopyrite is about 4x10 cm and is from Burgers quarry, Paterson, New Jersey. It also is formed with quartz. 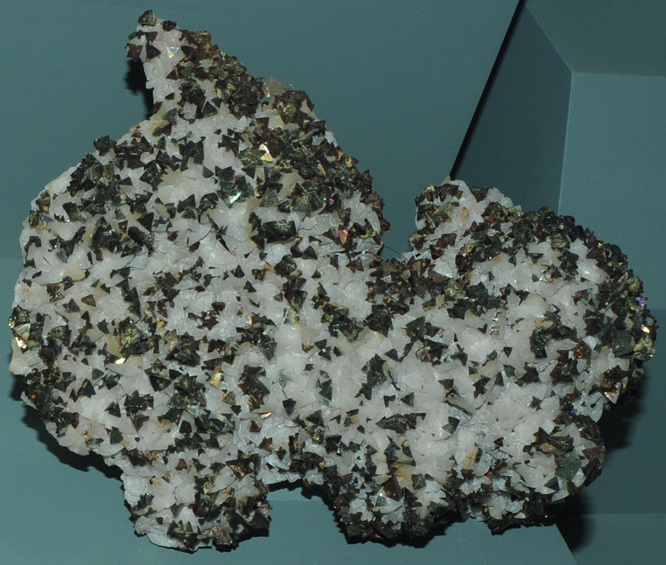 This sample of chalcopyrite with calcite is from Santa Rita, New Mexico. It is about 14 cm across. 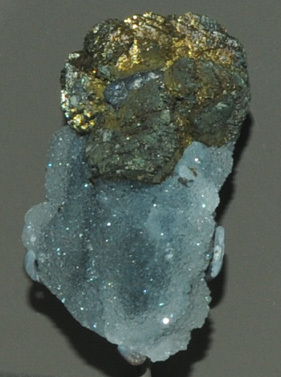 This sample of chalcopyrite is from French Creek, Pennsylvania. It is about 14 cm across. This sample is chalcopyrite with dolomite and sphalerite. It is is from Aurora, Missouri and is about 15 cm across. This is chalcopyrite with dolomite from Joplin, Missouri. It is about 25 cm across. 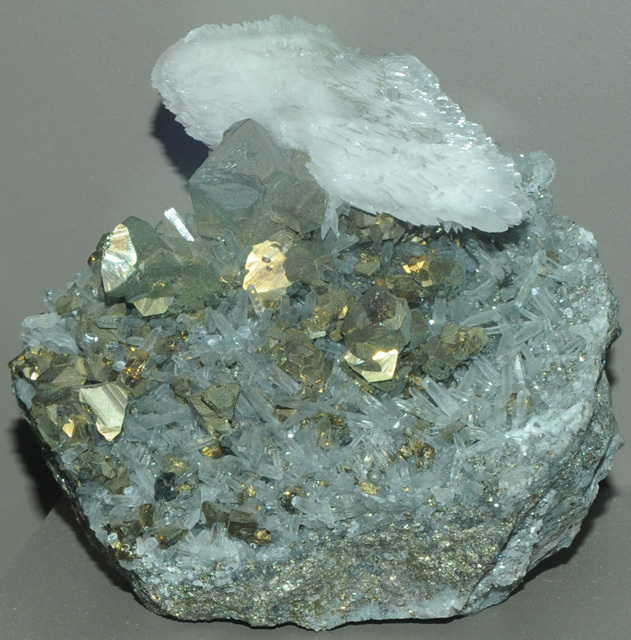 This chalcopyrite sample shows large brassy crystals which are the chalcopyrite. They are coated with white dolomite and black sphalerite. It is is from Bayard, New Mexico and is about 30 cm across. This is chalcopyrite with sphalerite from Wildberg mine, Waldbroel, Germany. It is about 5 cm across. 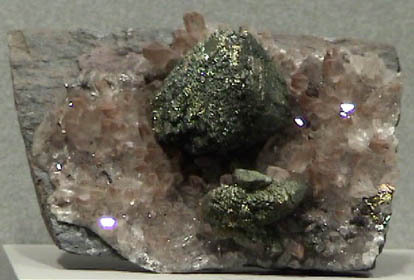 Chalcopyrite is sometimes found with another copper ore, tetrahedrite.